Disclosure – This is a sponsored post and I have been compensated in the form of the product reviewed below, however all thoughts and opinions are my own. A friend and co-worker of mine has a beautiful old home in the downtown historical district that she absolutely loves, but it’s very near a vacant lot where a large number of vagrants hang out. Unfortunately, she’s had issues with some of the vagrants and even had her home broken into once. To keep a better eye on her place she had a security system installed where she can use an app on her phone to check out the cameras around her home and she’s already gotten images of homeless people sitting in the chairs on her front porch! Although we thankfully don’t have a problem with vagrants in our neighborhood, as a single mom with a day job I want to do all that I can to protect my family and I absolutely love the idea of being able to check out my house during the day while I’m gone, but I really don’t need to add another payment to our monthly budget so I was thrilled to learn about the Canary Security System. It took me about ten minutes to setup my new Canary Smart Home Security System and this is the first screenshot I took. All you have to do is download the app on your smartphone then follow a few simple steps to get it up and running on your home’s WiFi. Mine is running off my Netgear Nighthawk DST router. The unit itself is small and looks a little like a Bluetooth speaker. 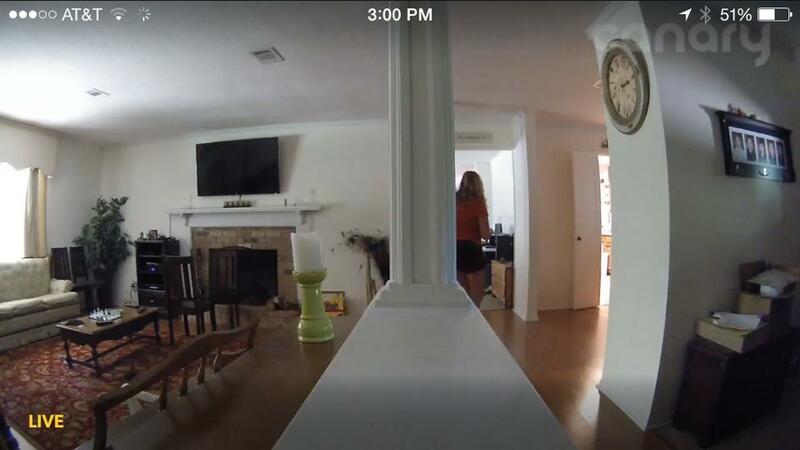 I set mine up inside the front door and was amazed at the range of view that I can see in the live video feed. This one Canary unit, that retails for $199 from Best Buy, covers the front door of my home, the living room and the entrances to the dining room, kitchen and family room. You can also add additional Canary units if you have a large home or want to monitor other areas. 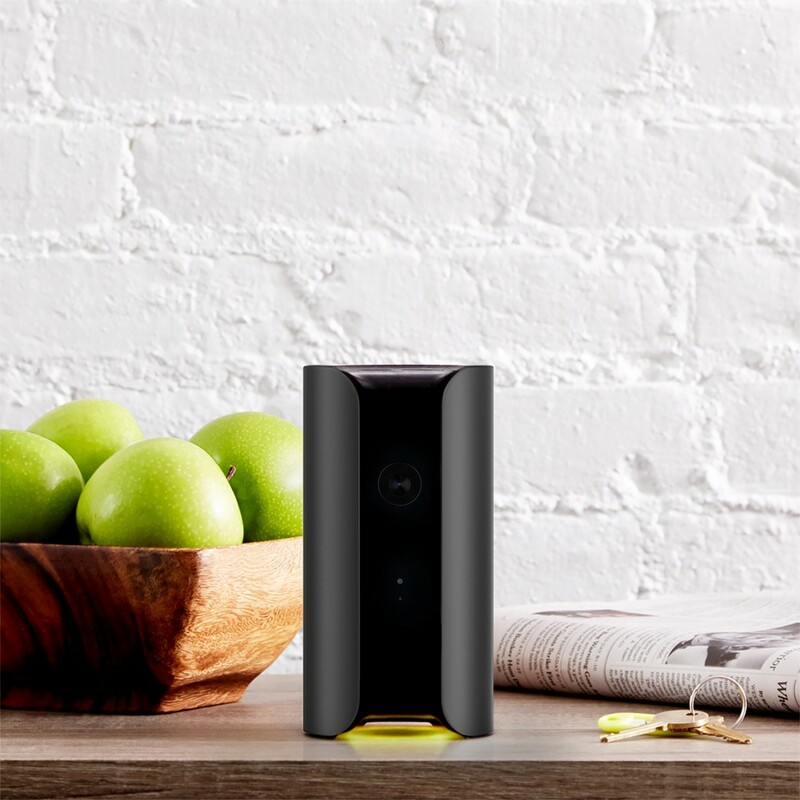 The Canary app is really cool – you can use it to watch live anytime from anywhere, you can see a timeline of events whenever you want, and since it knows when you leave and arrive home using location services on your phone it can auto switch from armed to disarmed. If you live with your significant other or roommates you can also add them so it will know when they’ve arrived home. The app will learn your habits and will notify you if anything unusual happens. It will even monitor your home’s air quality, temperature and humidity level, all without any contracts or monthly fees.